The Washington Hyperloop team is counting on the third time being the charm. But it’s not just a question of superstitious sayings: For SpaceX’s third university Hyperloop competition, the three dozen student engineers and entrepreneurs on the University of Washington’s pod-racing team have reworked the design for their vehicle from the ground up. The pod racer had its formal unveiling at UW on June 1. It’ll be put to the ultimate test next month, when SpaceX hosts a series of practice runs and races inside a mile-long enclosed test track next to the company’s headquarters in Hawthorne, Calif. 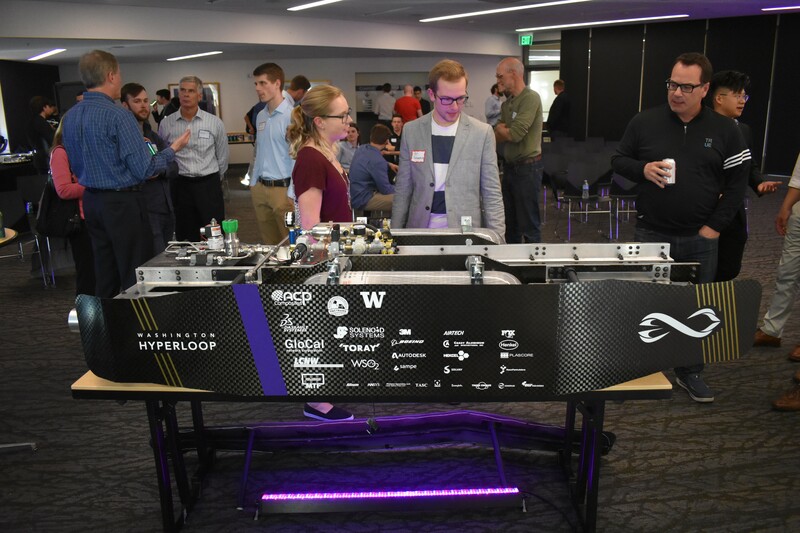 This entry was posted in GeekWire and tagged Hyperloop, SpaceX, Technology, Transportation, University of Washington, UW Hyperloop. Bookmark the permalink.